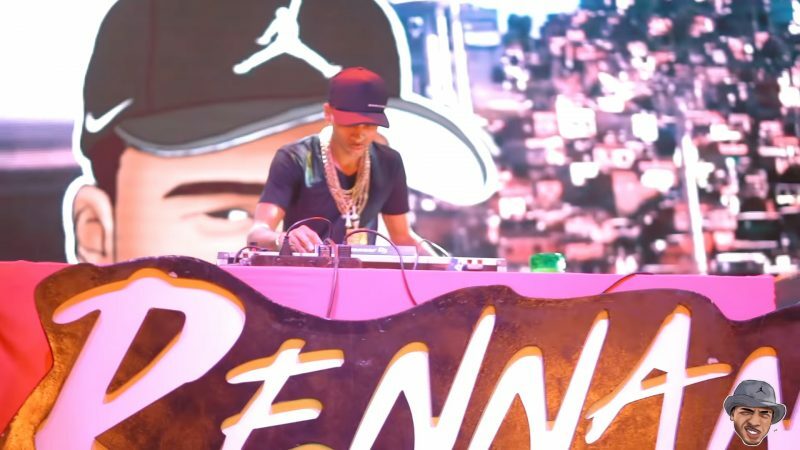 Rennan da Penha, 24, is a Brazilian funk DJ and the founder of what is arguably Rio de Janeiro’s largest funk party. Baile da Gaiola, which means “cage ball” in Portuguese, gathers around 25,000 people in Complexo da Penha Favela every week. Last week, an appeals court sentenced Rennan for six years and eight months in prison for “association with drug trafficking.” An original sentence had deemed Rennan innocent for lack of proof, but the public prosecutor appealed it. Rennan’s lawyers have also sought court approval for Rennan to remain free while they appeal this newest sentence before Brazil’s Supreme Court. According to Folha de S. Paulo, his prison order is yet to be issued. The prison of a major Brazilian funk celebrity has sparked a debate about racism and the criminalization of funk parties in the country. O @rennan_penha é uma das grandes revelações de favela dos últimos anos, um muleque q do nada, se tornou um fenômeno nacional através do FUNK. A prisão do Rennan é política, racista e preconceituosa, ataca o FUNK, A FAVELA e a ascensão de alguém q vem do nada e se torna gigante! @rennan_penha is one of the greatest revelations of the favela of the last few years, a dude that came from nowhere, who became a national phenomenon through FUNK. His prison is political, racist, and bigoted, it attacks FUNK, FAVELA and the rise of someone who came from nowhere and became a giant. Activist Raull Santiago, who testified in Rennan’s favor at the time of his first sentence, told Global Voices that he was “jumbled with several other people” who had all been charged with drug trafficking association in the same process. During the hearings, Raull says, witnesses accounts’ have shown Rennan had nothing to do with the favela’s drug business. After Rennan’s prison sentence, his friends and supporters put together a website called “Deixa Eu Dançar” (Let Me Dance) where they cite arguments made by the prosecutors and judges and try to debunk them. For example, the court’s sentence says that Rennan’s music “exalts drug trafficking;” the website responds by saying that his lyrics merely express the daily life in a favela. A point raised by the prosecution is Rennan’s WhatsApp messages in which he speaks about routes where the police had been wandering lately in Complexo da Penha. The prosecution weighed he was playing the “eyes” for drug lords. The website argues that this how this is a common type of information to pass around among favela residents, who are often mistreated by the police. Speaking with Global Voices, Raull says that the information is useful for people looking to avoid areas where armed conflict is likely to take place. On his file, there is a photo of Rennan posing with a gun. The defense claims the weapon is fake and the photo taken during Carnival. After seeing the image, the first judge of the case dismissed the charges on Rennan, the website states. Directly derived from Miami bass, funk carioca emerged as a musical genre in its own right in the 1980s in Rio de Janeiro’s slums. Not to be mistaken with USA 1970s funk, Brazilian funk was originally done on the cheap, with a limited number of sampled beats and melodies that would show up in nearly every song. Today, funk parties attract millions of people from different social classes in Brazil and drive a multi-million dollar industry. However, just like samba many decades before it, white elites — and the police and the judiciary — persistently regard the genre with prejudice (yes, samba used to be frowned upon by elites before it became Brazil’s national symbol). Esse processo de condenação é uma situação muito grave, que passa pelo processo de criminalização das favelas, das periferias, da juventude negra, da ascensão das pessoas que vêm desses lugares, que fazem dinheiro, que empregam pessoas. Acho que tem uma questão racial e uma questão da desigualdade e do preconceito histórico implícita nesse processo. This conviction process is a very serious situation, which passes through the criminalization of favelas, of peripheries, of black young people, and the ascent of the people who come from these places, who make money out of it and employ people with it. I think the racial issue, and the issue of inequality and historical prejudice, are all implicit in those charges.